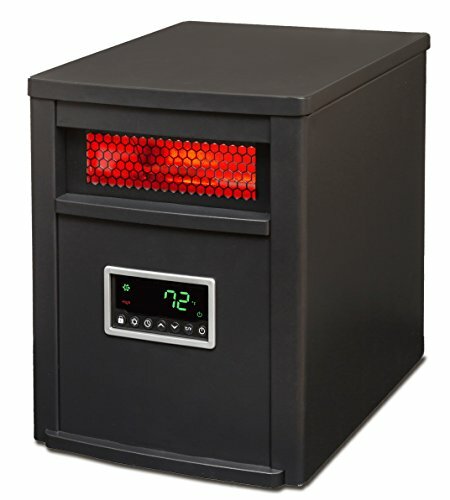 This is one solidly built space heater that uses powerful but gentle quartz infrared heat generation. There is a lot to like about everything with its design. That includes its digital control panel with easy to read display and it’s several different power settings make it very energy efficient space heater to run. 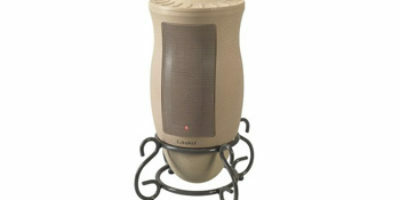 Talking about heating power, this space heater from Lifesmart not only has 1 heating element but six. They work together to provide over 5000 BTU’s of heat. That is enough heat to make even the largest size rooms comfortably warm. By having 6 heating elements it ensures that you get very even heating too. 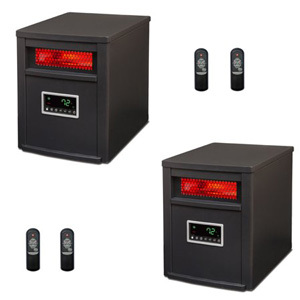 These heaters work great to provide some extra warmth at your cottage or cabin getaway too. There are also 3 different heat settings you can choose to use with this space heater. 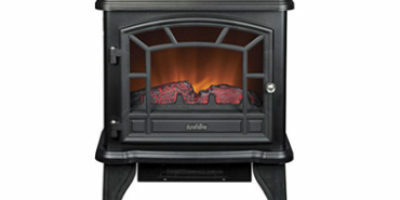 It has a powerful 1500 watt main setting, a 750-watt medium setting, and a 500-watt economy setting. That gives you many heating choices and can also help save you some money on your electric bill too. The cabinet on this space heater is solid metal with a grey metallic paint coating that looks really nice. The inlaid display panel and grills nicely accent the entire unit with their flat black contrast. It even has wheels built into the bottom of it which will help greatly when moving short distances. The included air filter is washable and will even make the air in the room you place this space heater in safer to breathe. You can’t help but like any space heater that uses infrared heat. Not only does it do a great job of adding extra warmth to any room but it also doesn’t dry the air in a room as regular electric space heaters do. So infrared heat doubles the comfort in the rooms it’s used in. The digital controls are very nice too. It makes it very easy to control the temperature of the room you are in and it also displays the current room temperature. With the Lifesmart 6 Element Infrared Heater, it’s very easy to control the heat in a room just the way you like it. One of the characteristics of this space heater will not thrilled with is its weight. At 21 pounds some people are not going to be able to pick this space heater up and move it. The metal cabinet is nice and sturdy but the weight is a drawback to using that type of material on the body of this heater. One strange thing you have to watch for if you purchase the Lifesmart 6 Element Infrared Heater is if you notice it impacts your TV when you use the remote control. Some users say the frequency is very close to what some TV’s use and may affect them when using this remote to operate the heater. This is a pretty solid all-around space heating product. We all were very sat9isfied with what we learned about how the Lifesmart 6 Element Infrared Heater runs and functions. The digital control panel makes it super easy to operate this space heater and its infrared heat only adds to the comfort it gives you in any room it’s placed in. The added washable air filter and remote control are nice bonuses too. We don’t see any reason why you should not buy the Lifesmart 6 Element Infrared Heater if you like what you read about it here.